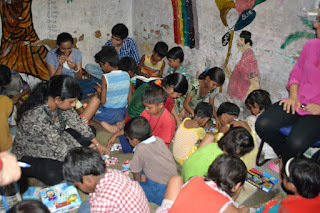 Toybank Delhi set up it's first toy library in Delhi at Aspiring Foundation on 28th of July! Toybank Delhi had already visited children from Aspiring Foundation this April and had liked the enthusiasm levels of the children to learn more! 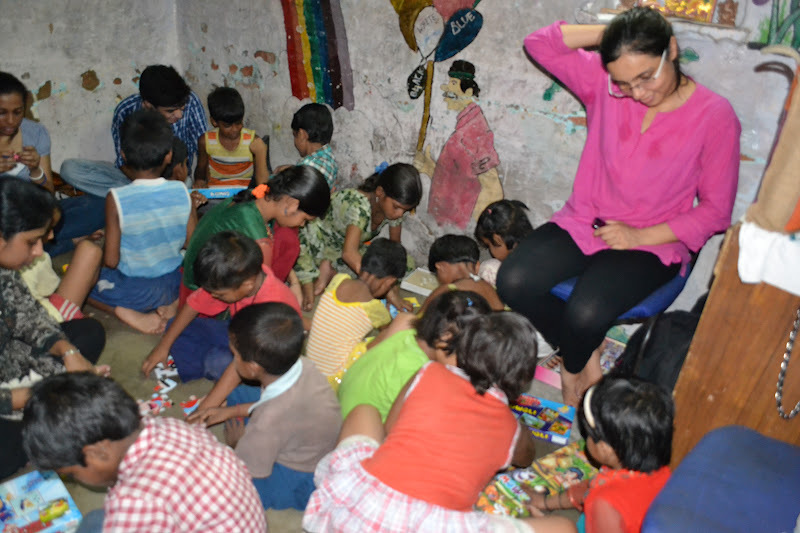 This led to us establishing our Toy Library in Delhi/NCR for around 63 children at Aspiring Foundation. We had an amazing event and here's what Edith, who was our coordinator from Aspiring Foundation had to say, "Our children had a lovely time! We are very happy to have created this association with an esteemed organization such as yours which is making its mark in social good with each passing day to us and many other NGOs". 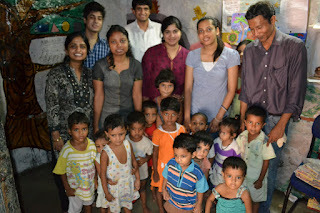 "Toybank did a splendid job by establishing a toy library for the little kids at Aspiring foundation. I knew all through my internship that ToyBank stands out in its goals and motto among a series of NGOs that focus on the academics than toys. 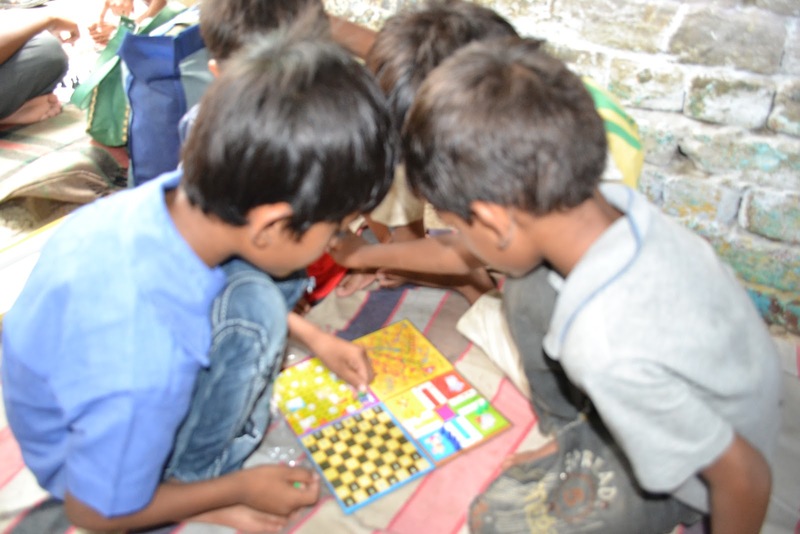 However, I never imagined how impactful it could be for those children who have been deprived of a playful childhood. We interns did everything possible to make this event a success. Working hard for days was absolutely worth it! They were delighted to have play time on their schedule that day! The little room was filled with excitement and fun-filled moments. The smiles on their faces lightened up everyone’s mood. They expressed their amazement and joy enthusiastically. 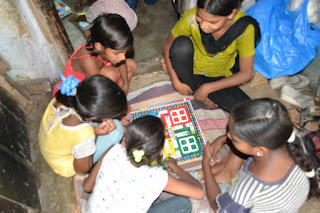 Also, as we played along with them, it was like getting a glimpse of our childhood once again! I have been volunteering at NGOs where I have taught young kids, which brings a sense of satisfaction that we can make a difference to their lives. 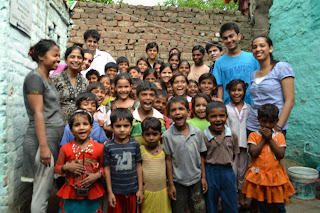 Likewise, playing with those kids gave me immense pleasure! Honestly, it was a more delightful experience than teaching! Altogether, I feel this was one of the best experiences of my life. 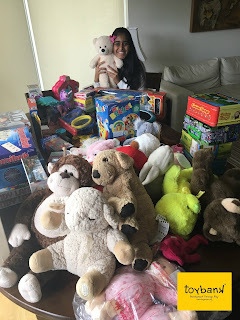 I really want to thank Toybank for working for such a wonderful cause!" "It was my first time and I really enjoyed the event.Those kids were something special, and one of them even was able to beat me in a game. I had fun playing with them. They were quick learners. Coordinators and teachers at Aspiring were very cooperative too. Overall it was a very good experience." 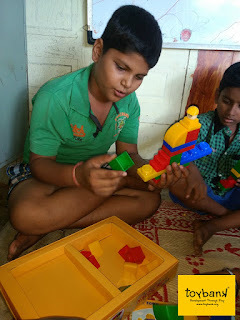 "This was my first toy-library experience outside Bhutan - smaller in room size yet equally special :) The excitement and the energy levels that filled the room were overwhelming. I was surrounded by 10 kids, who had never seen this stuff before. To be honest, I first thought that this would be a disaster and I'll never be able to manage them together. But somehow 'magic' happened :). In no time, those kids became adept at those puzzles and games, and kept calling on me, only to show the final results. I was stunned! I was really underestimating them and overrating my role. All they needed me to do was to open the boxes :)"
Ravi, one of our volunteers and a huge supporter of Toybank's work was visiting Delhi and managed to drop by at our event. "The event was an eye opener. 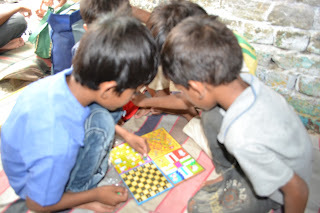 Kids coming from marginalized society showed their brilliant IQ by solving puzzles within no time.The volunteers were awesome. With pure spirits and affection, they handled the kids marvelously. In a crammed place, I saw so much of dedication, affection and intelligent interaction. 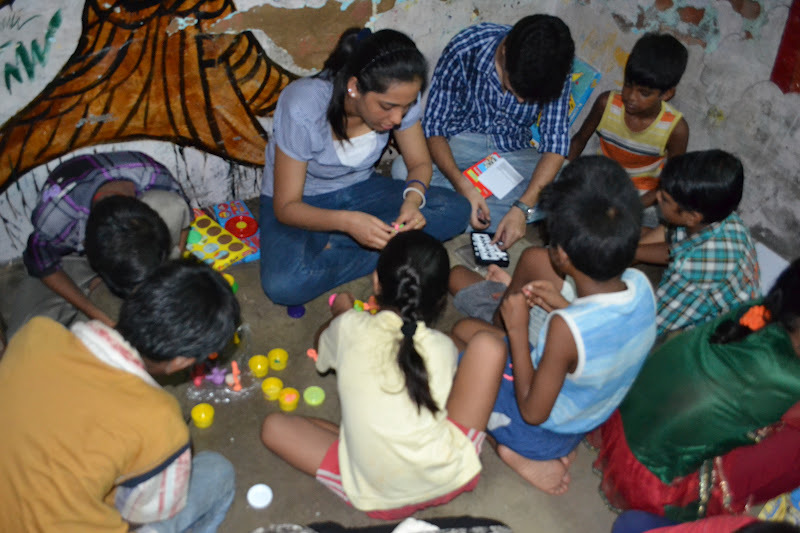 Thanks Toybank Delhi, for giving me an opportunity to be a part of the event"